Upgrade network connectivity to support 1000 Mbps. 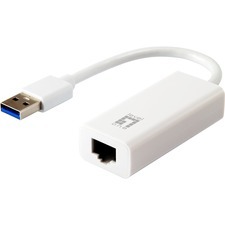 The EC1000S Gigabit Ethernet Network Adapter Card can be installed in a laptop ExpressCard port, for quick and hassle-free connections to a Gigabit Ethernet network. With support for data transfer rates up to 1000Mbps, the Gigabit Ethernet Network Adapter card delivers the speed and performance needed for virtually any network-based tasks, including CAD, graphic design, digital audio authoring, and other demanding applications. 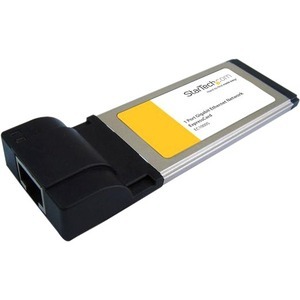 The ExpressCard Gigabit Ethernet adapter is designed to provide a long-lasting network solution.